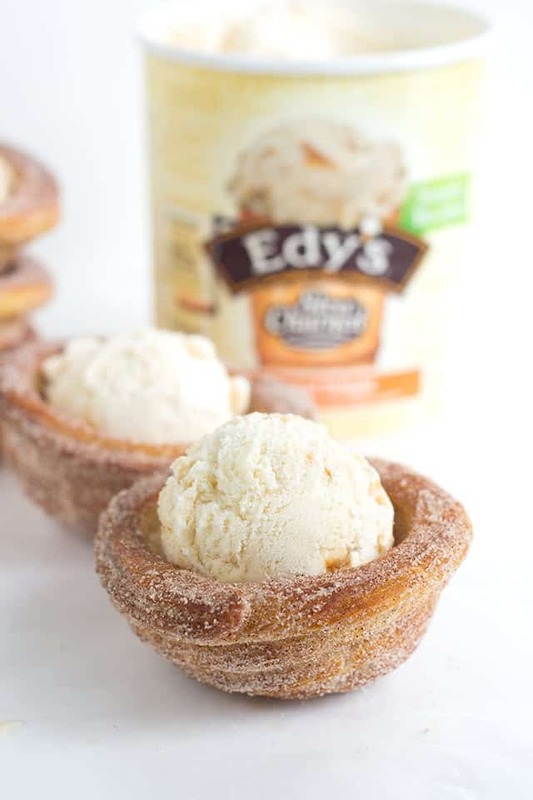 Churro Ice Cream Cups that are easy to make and fun to eat! They’re piped on cupcake tins for the perfect serving size and baked, not fried, so they’re a little better for you. They’re perfect for summer parties and everyone eats their cup so no dirty dishes. Total bonus! Thanks to Dreyer’s/Edy’s Ice Cream for sponsoring this post. 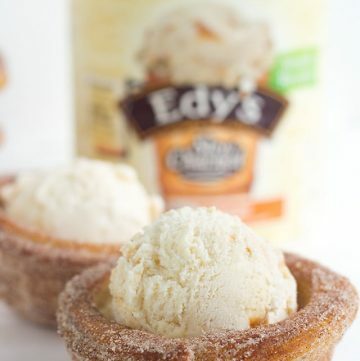 Once you make these gorgeous cups and toss them in their cinnamon and sugar coating, the next step is to find the perfect ice cream to go in them. My preference is Edy’s Slow Churned Caramel Delight light ice cream. It has thick swirls of caramel in it which are to die for, made with fresh milk and cream, AND it has 1/2 the fat and 1/3 less calories than full fat ice cream. What more could you ask for? I’m a total toppings girl, but I was completely content with my churro ice cream cups with just the ice cream and nothing more. 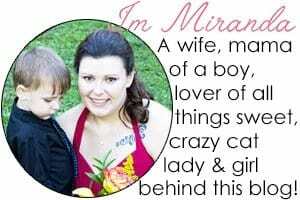 Crazy, right? You know it is. I was standing in a rather long checkout line with a container of my Edy’s Slow Churned Caramel Delight light ice cream waiting patiently for my turn when an older man turns around and sees what I’m holding. I’m a rather introverted person, but he started chatting me up about how he loves this particular ice cream anyway. I couldn’t help but smile because he was so excited. Okay, so getting back to these cups. I bet you’re wondering how on earth I went about making these. First, you’ll need a few things. Don’t worry, there’s nothing too crazy. I’ve learned a few things while testing this recipe that I want to share too. The first thing is to work quickly to get the choux pastry into the piping bag while it’s still hot and get it piped out. It’s not hot enough that it will burn you while you’re piping it. Once it cools down, it is SO hard to pipe and it doesn’t give the nice piped lines like it does when it’s done hot. You’ll want to pipe on every other cup on the cupcake tin. There’s not enough space otherwise. This one might be obvious for you, but thoroughly spray every other cup on the cupcake tin otherwise they stick and tear up your cups. Been there, done that. This last one was a big duh moment. I sprayed my cups thoroughly but then piped on the cups that just had the overspray on them. I scraped it off and tried to pipe it again, but the extra oil that was incorporated into the dough in doing that made it slump down on the cup. 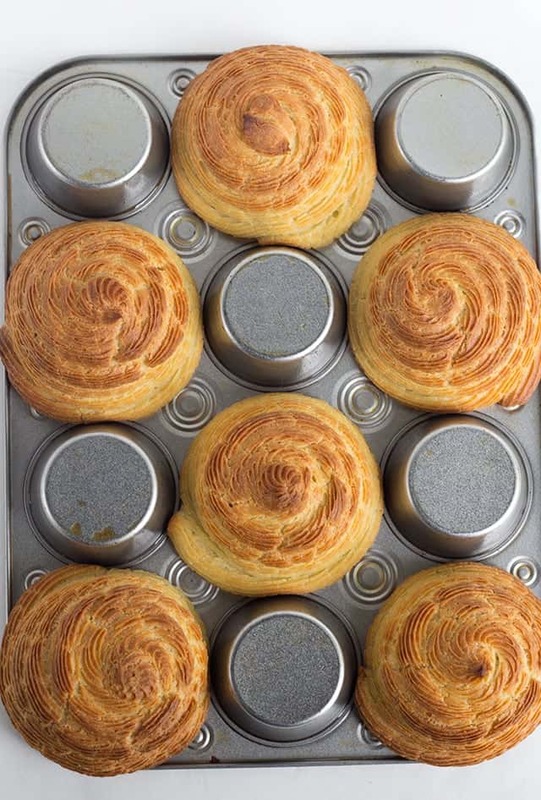 Once you have the choux pastry piped out, give it a coat of cooking spray. That will make the cups crunchy and perfectly browned up too. One last thing, don’t forget about our secret ingredient, Edy’s Slow Churned Caramel Delight ice cream. These churro cups wouldn’t be the same without it. Preheat oven to 400 degrees. Prepare the choux pastry as directed in my baked churros recipe. Flip over your cupcake tin. We'll be using the backside today! Spray every other cavity with non-stick cooking spray. Be sure to coat it thoroughly on the cavity and around the bottom so there will be no sticking. 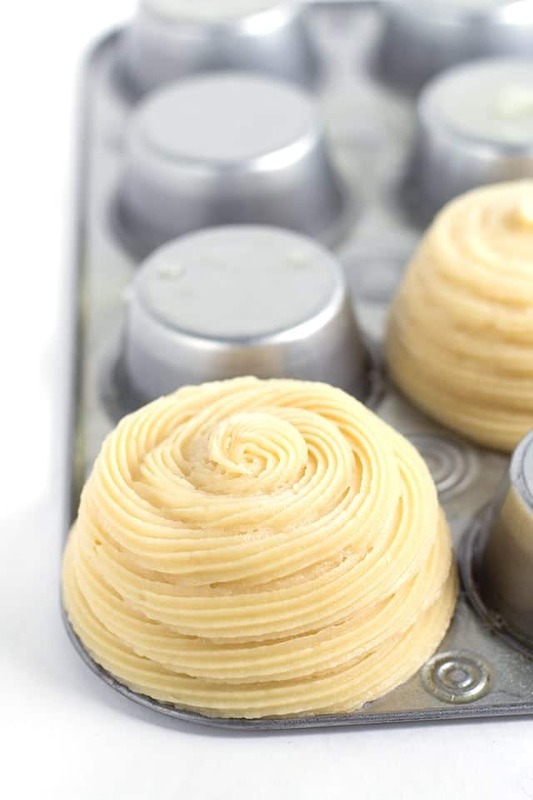 Begin piping around the bottom of each of the greased cups. 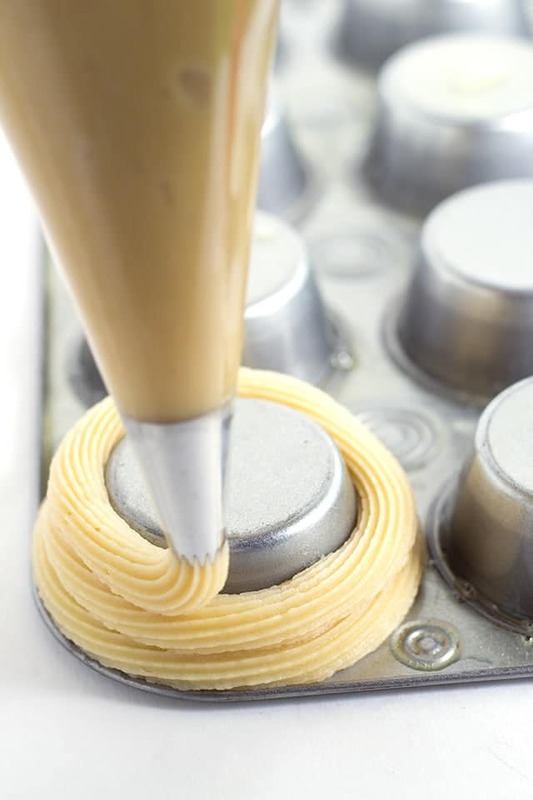 Be sure to keep it slightly pressed against the last line of dough you piped to avoid making any cracks in your bowls. 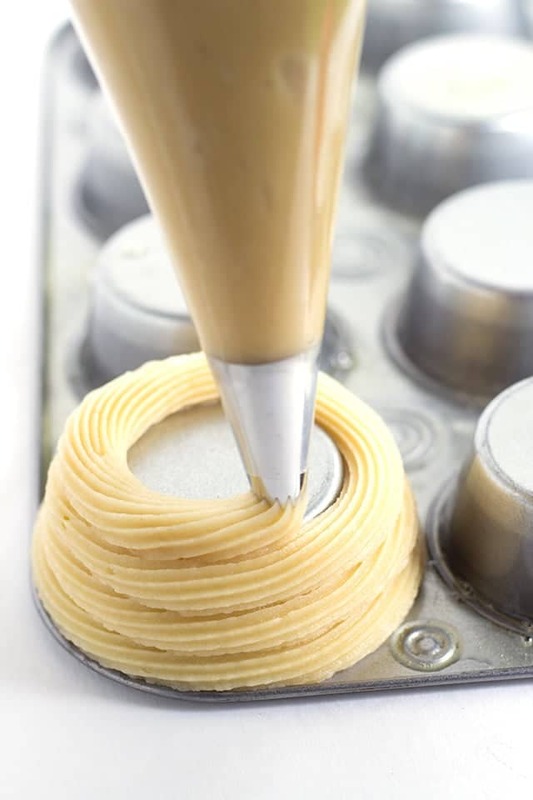 Once you have finished piping, give a gentle tap with your finger to the center of the bowl. This will push down any peaks and make the bowl sit evenly after it's baked. Spray the dough with more of the non-stick cooking spray to crisp up the dough when it's being baked. Place into the preheated oven and bake for 45 minutes until golden brown. Meanwhile, add in sugar and cinnamon into a bowl. Stir to combine. Remove the warm bowls from the cupcake tin and place into the cinnamon sugar. Carefully coat each bowl with the cinnamon sugar. 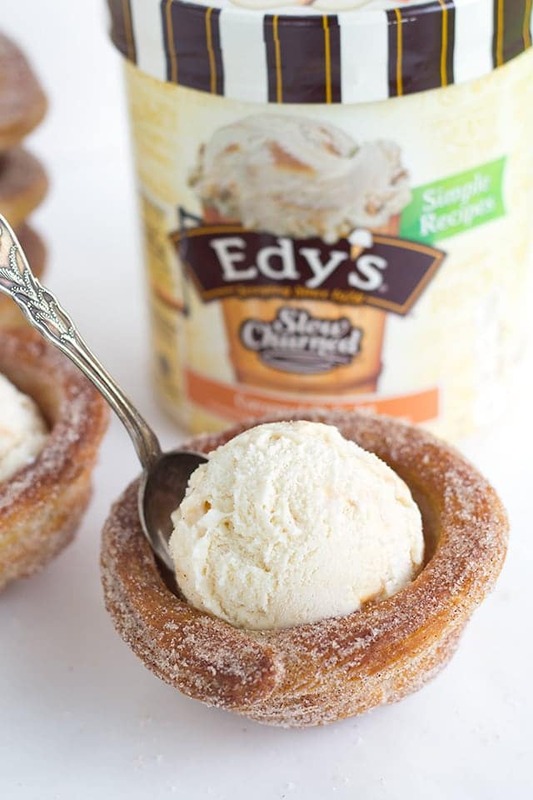 Let it cool completely and add a scoop of Edy's Slow Churned Caramel Delight light ice cream! 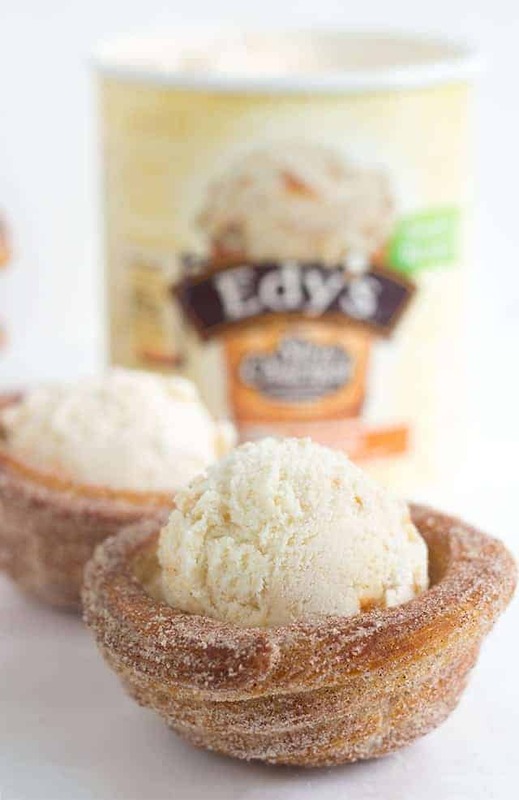 Oh, wow these Churro Ice Cream Cups look amazing. I love Churros and I love this idea. Shared and Pinned. Thank you for sharing at Moonlight and Mason Jars link party. Oh man! What a great and delicious idea! Such a delicious looking dessert! Perfect for Cinco de Mayo! pretty sure this would be amazing! Can you make these in advance? If so, how many days do you think ahead of time? They would be best made the day of. You can make them a day ahead of time but they do get soft.